Mitsumasa Yonai (米内 光政, Yonai Mitsumasa, 2 March 1880 - 20 April 1948) was an admiral in the Imperial Japanese Navy, and politician. He was the 37th Prime Minister of Japan from 16 January-22 July 1940. Yonai was born in Morioka city, Iwate Prefecture as the first son of an ex-samurai retainer of the Nambu clan of the Morioka Domain. He graduated from the 29th class Imperial Japanese Naval Academy in 1901, ranked 68 of 115 cadets. After midshipman service in the corvette Kongō, and cruiser Tokiwa he was commissioned as ensign in January 1903. He served in administrative positions until near the end of the Russo-Japanese War of 1904-1905, when he went to sea again on the destroyer Inazuma and the cruiser Iwate. After the war, he served as chief gunnery officer on the cruiser Niitaka, battleship Shikishima, and cruiser Tone. After his promotion to lieutenant commander in December 1912, he graduated from the Naval War College and was assigned as naval attach� to Russia during the height of World War I, from 1915-1917. 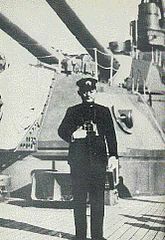 While overseas, he was promoted to commander; after the collapse of the Russian Empire, he was recalled to Japan and later became executive officer on the battleship Asahi. He rose to the rank of captain in December 1920 and was subsequently sent as naval attach� to Poland from 1921-1922. On his return to Japan, he was captain of the cruisers Kasuga (from 1922-1923) and Iwate (1923-1924), and battleships Fusō (in 1924) and Mutsu (from 1924-1925). Yonai was promoted to rear admiral on December 1, 1925. He became Chief of the 3rd Section of the Imperial Japanese Navy General Staff in December 1926. Within the Navy General Staff, he served on the Technical Council of the Navy Technical Department. He was appointed Commander-in-Chief of the First Expeditionary Fleet, sent to the Yangtze River in China in December 1928. 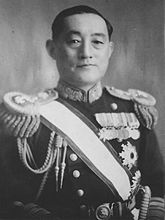 Following the success of this mission, he was promoted to vice-admiral in December 1930 and placed in command of the Chinkai Guard District, in Korea. Yonai was given command of the IJN 3rd Fleet in December 1932, following which he again commanded the Sasebo Naval District (November 1933), IJN 2nd Fleet (November 1934) and Yokosuka Naval District (December 1935) before receiving appointment as Commander-in-Chief of the Combined Fleet and concurrently the IJN 1st Fleet in December 1936. While in command at Sasebo, the Japanese Navy was shaken by the "Tomozuru Incident", when it was determined that the basic design of the Chidori-class torpedo boats was flawed, thus calling into question the basic designs of many of the warships in the Japanese navy. While in command at Yokosuka, the February 26 Incident erupted in Tokyo. Yonai was visiting his mistress in Shimbashi the night the attempted coup d'�tat began, only a couple of blocks away, but knew nothing of the situation until he returned to base the following morning. Yonai became full admiral in April 1937 and Navy Minister in the cabinet of Prime Minister Senjūrō Hayashi in 1937. He served in the same position under the subsequent first Fumimaro Konoe and Kiichirō Hiranuma administrations, through August 1939. After Nobuyuki Abe became Prime Minister, Yonai remained on the Supreme War Council. While Navy Minister, Yonai was known as a man of few words. His speeches tended to be short, and were delivered in his almost indecipherable Nambu accent. Written records of his speeches are only about half the length of his contemporaries. As Navy Minister, Yonai was alarmed by the growing tension between Japan and Great Britain and the United States, at a time when the bulk of the Imperial Japanese Army was tied down in an apparently unending quagmire in China. His efforts to promote peace made him unpopular with ultranationalist extremists, and (as with Admiral Isoroku Yamamoto), he was the target of several assassination attempts. However, Yonai supported the construction of the Yamato-class battleships in an effort to maintain a military balance with the world's other two naval superpowers. 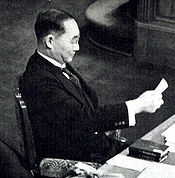 Picture - Yonai reading a memo during the House plenary session in February 1940. Yonai was appointed Prime Minister of Japan from 6 January 1940, largely with the backing of Emperor Hirohito. As Prime Minister, he continued the strong pro-British, pro-American stance he held as Navy Minister and continued his strong opposition to the Tripartite Pact with Nazi Germany and fascist Italy. Following the German occupation of the Low Countries and France in May-June 1940, the Army began to show dissatisfaction with Yonai's anti German policy. The disagreement became apparent in early July 1940, as Minister of War Shunroku Hata began to criticize the Prime Minister openly. Yonai was forced to resign on 21 July 1940, largely due to pressure from the pro-Axis Imperial Japanese Army. The Tripartite Pact was signed on 27 September 1940. Yonai served as Deputy Prime Minister and concurrently as Navy Minister under the cabinet of Prime Minister Kuniaki Koiso from 22 July 1944, during which time he returned to the active duty roster from the reserve list. By this time, Saipan had fallen to the Americans. Yonai remained Navy Minister under the administration of Prime Minister Kantarō Suzuki. In the last few weeks before Japan's surrender, he sided with Prime Minister Suzuki and Foreign Minister Shigenori Tōgō in support of acceptance of the Potsdam Declaration in opposition to Minister of War Korechika Anami, Chief of Staff Admiral Soemu Toyoda and General Yoshijirō Umezu. 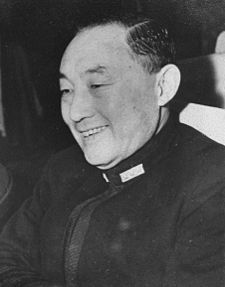 Yonai remained Navy Minister in the cabinets of Prime Minister HIH Higashikuni Naruhiko and Prime Minister Kijūrō Shidehara from August 1945, during which time he presided over the final dissolution of the Imperial Japanese Navy. He played a major role during the Tokyo war crimes trials in working with the major defendants, such as Hideki Tōjō, to coordinate their testimonies so that Emperor Hirohito would be spared from indictment. According to his interpreter Suichi Mizota, in March 1946 Bonner Fellers asked him to make Tōjō bear all responsibility for the Greater East Asia War After the war, Yonai devoted rest of his life to help to rebuild devastated Japan. Yonai suffered from high blood pressure most of his life, but he died of pneumonia in 1948 at the age of 68. His grave is located in his hometown of Morioka. His honors include the Order of the Golden Kite (first class) and the Grand Cordon of the Order of the Rising Sun. Franks, Richard B. (2001). Downfall: The End of the Imperial Japanese Empire. Penguin (Non-Classics); Reissue edition. ISBN 014100146. Jansen, Marius B (2002). The Making of Modern Japan. Belknap Press. 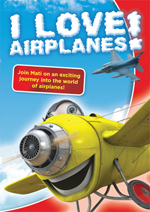 ISBN 0674009916. Sims, Richard (2001). Japanese Political History Since the Meiji Renovation 1868-2000. Palgrave Macmillan. 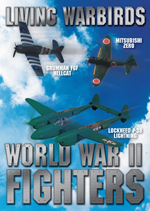 ISBN 0312239157. Spector, Ronald (1985). 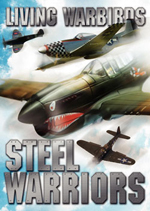 Eagle Against the Sun: The American War With Japan. Vintage. 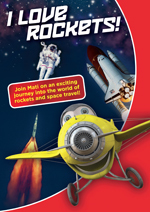 ISBN 0394741013. Takada, Makiko (1995). Showa Tenno to Yonai Mitsumasa to. Hara Shobo. ISBN 4562026944. Takagi, Sokichi (1982). Yamamoto Isoroku to Yonai Mitsumasa: Fu rengo kantai shimatsuki. Kojinsha. ISBN 4769801734.